I love cookie dough, and I’ll put it on just about anything -- ice cream, donuts, cupcakes. 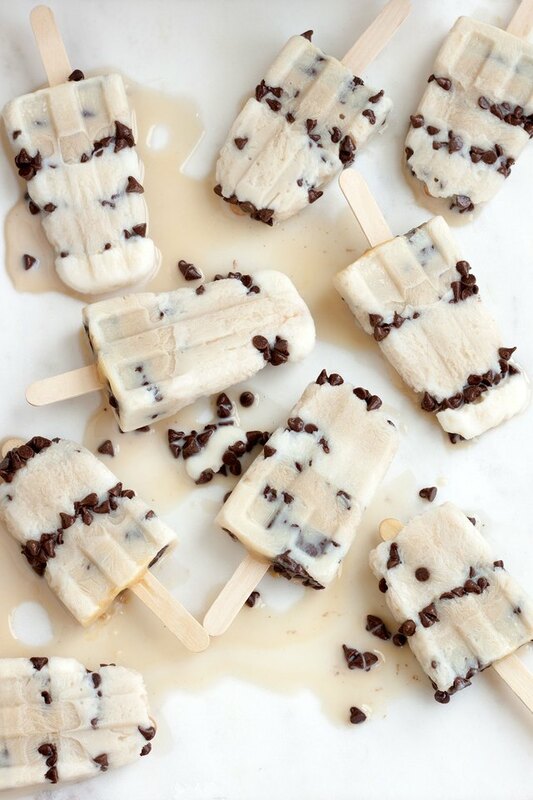 That’s why when the idea to make cookie dough ice pops came up, I had to do it. 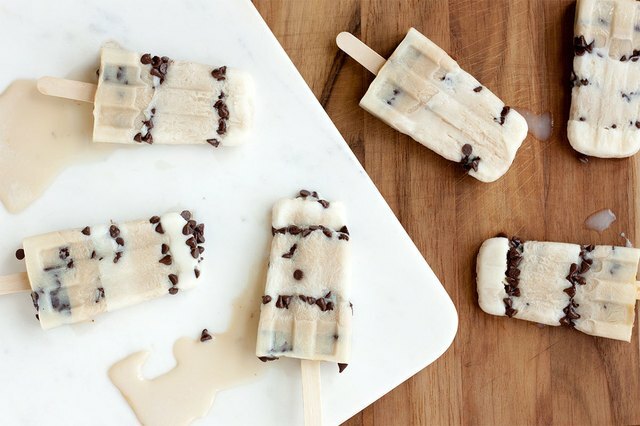 This recipe embodies the flavors of chocolate chip cookie dough while maintaining the texture of an ice pop. The alternating layers of vanilla, chocolate chips and dough worked perfectly! Of course, I didn’t actually use cookie dough. Instead I discovered that a little dark brown sugar mixed with vanilla and milk tastes strikingly similar to the real thing. 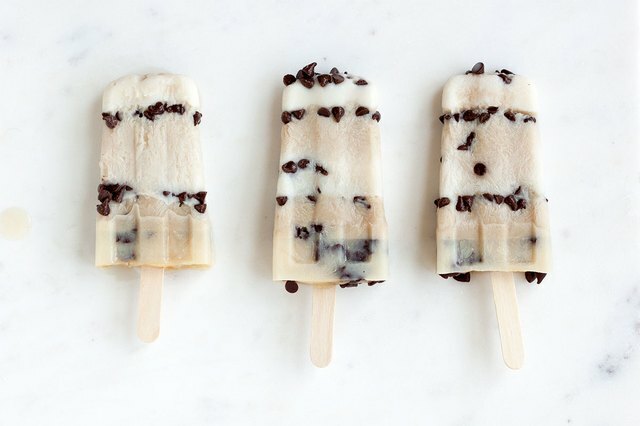 The result: A refreshing, delicious and somewhat healthier way to get your cookie dough fix! In a small bowl combine vanilla layer ingredients. In another small bowl combine all the ingredients for the cookie dough layers except for the chocolate chips. 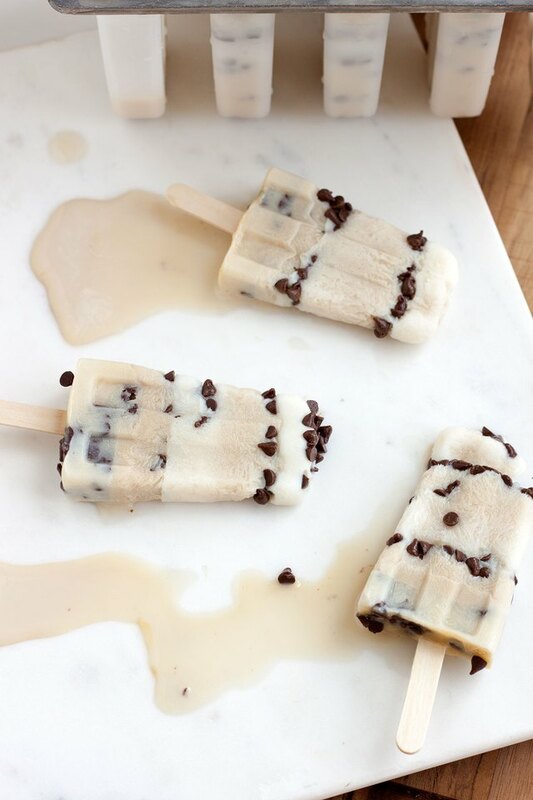 Pour 1 tablespoon of vanilla mix into the bottom of each ice pop mold. Freeze for an hour until solid. Sprinkle chocolate chips on top of frozen vanilla layer, followed by 1 Tablespoon of cookie dough mix. Freeze for an hour until solid. Insert wood sticks. Repeat process alternating layers until ice pop molds are full. Serve and enjoy! For easy ice pop removal, soak mold in hot water for 15-30 seconds.